Sunrise: On January 4, 1941, Arthur Fred Bean was born to the late Homer Bean and Thelma Cooley in Walker County, AL. He is preceded in death by his wife, Helen Hull Bean. Fred was employed as an aircraft mechanic at Lowe Field, Fort Rucker, Alabama. After 20 years of loyal service, he retired. 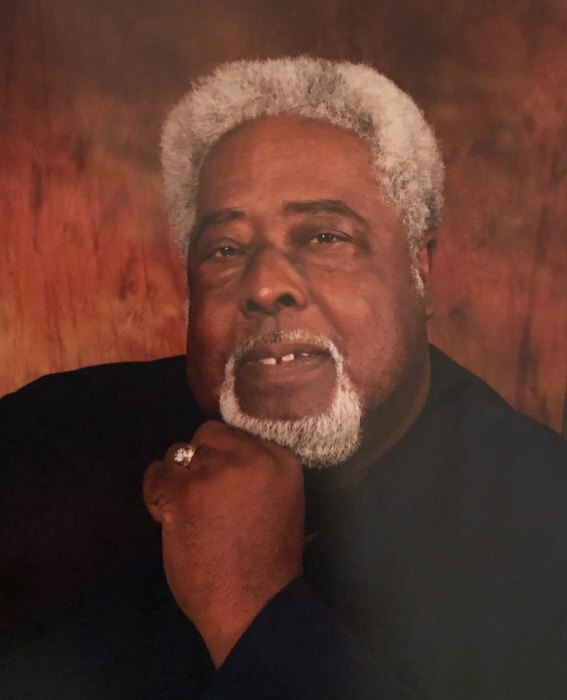 Fred was a faithful member of Friendship Missionary Baptist Church, where Dr. J. Henry Williams is the pastor and regularly attended Beth - EL Faith Church, where, his long time friend, Rev. George Scott is the Pastor. Fred had a passion for life and a heart of gold. He never met a stranger and if he did, that stranger became a friend for life. At any given moment, you could drive down Paul Street and see him sitting on the porch. He never failed to throw his hand up and give a friendly wave. He was affectionately known around Enterprise as “Big Daddy”. Fred took life head on, with determination and great faith. His life was a true testimony of that. On December 17, 2016 Fred married Ella Mae Couch. He was a loving and a very, very caring husband to her. He was her companion, her loved one, and most of all her very sweet “Honey Bun”. He was a loving and devoted father and grandfather. There were no indifferences concerning the children. He loved each of them and took great interest in all aspects of their lives. He loved and was well loved and will never be forgotten. Sunset: Fred was called home on April 3, 2019. He leaves behind to cherish his memory his loving wife, Ella Mae Couch-Bean, one daughter, Pamela Ferrell (Samuel), two grandsons; Paris Ferrell of Tampa, FL and Nijhil Ferrell of VA Beach VA, one sister; Sarah Johnson of Lake Providence, LA, two brothers Randolph Divins of Monroe, LA and Charles Cooley of Milwaukee, WI, Fredrick Couch, Patricia Williams (James) Kenneth Couch all of Enterprise, AL, and Bobby Flowers (Lisa) of McDonald, NY. He is also survived by a host of grandchildren nieces, nephews, and beloved family and friends.